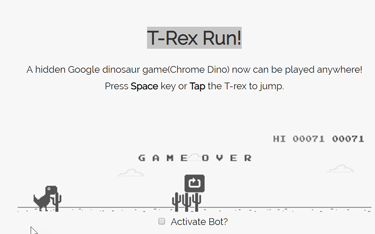 Just type “T-Rex Run” in the Google Search Box. Type “Text Adventure” into Google Search Box. Click on “Console” on top of screen.